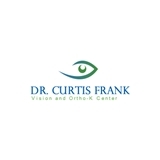 Dr. Curtis Frank Vision and Ortho-K Center (Boston) - Book Appointment Online! My visit was great. Dr. Frank was thorough and he took time to listen and explain. He was wonderful and I would recommend him to anyone.